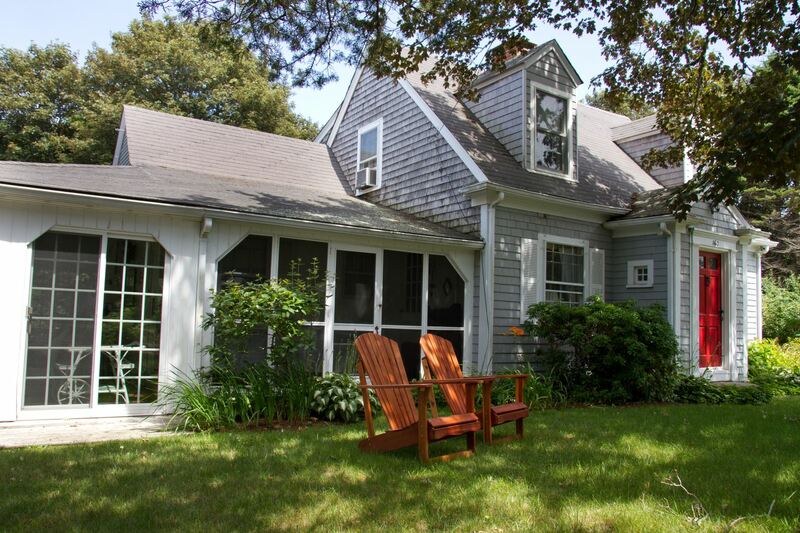 This beautiful Cape Cod home sits on Barley Neck, a small peninsula just a few minutes drive to Nauset Beach. Surrounded by Meeting House Pond and Little Pleasant Bay, this area is harbored from the Atlantic Ocean by Pochet Island. From this location, you are walking distance to the trails at Barley Neck Landing to the left and salt water swimming at Meetinghouse Pond to the right. This classic Cape has 2 living rooms on the main floor, one that is perfect for an afternoon reading room. Also on the main floor is a recently upgraded kitchen, formal dining room and access to the 3 season porch with sliding glass doors on 3 sides for cool summer breezes. The grounds are in a low traffic area and just minutes away from world famous Nauset Beach as well as the unique waterways located all through the Barley Neck area. This particular stretch of East Orleans is great for interesting morning walks, walking your dog, biking to town or the beach and access to some landings and waterways "off the beaten path" for kayaking, swimming, SUP and sailboat launch. This home is great for families and is dog friendly! 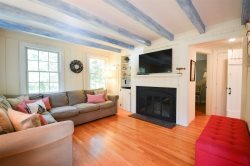 Private and inviting with a great porch for entertaining and relaxing, a new kitchen and bath but all the classic cottage feel you look for on Cape Cod. Peeks of the water from yard and walk to Barley Neck Landing and Meeting House Pond. Public access to both. 8 minutes by car along picturesque back roads to world renowned Nauset Beach (see photo of google map). Salt water Meeting House Pond with a Town Boat Landing giving access to Pleasant Bay is a short walk down the road. Great for kayaking, sailing or launching motor boats, Meeting House Pond hosts free swimming lessons for kids through mid-August. The very family-friendly Skaket beach on Cape Cod Bay is only a 10 minute drive. Fresh water swimming at Crystal and Pilgrim Lakes is less than 10 minutes away. Both Nauset and Skaket Beaches have snack bars and restrooms. Nauset is a 14 minute Bike Ride. This is a Saturday to Saturday vacation rental during mid-june to mid-sept. Working with realtors was easy, questions answered promptly. The house is beautiful, sun porches are so comfortable, plenty of room to make yourself comfortable in.